23 wartime Christmas tracks from December 1945, celebrating Yuletide peace and homecoming, performed by the original artists. Loved ones returned from the frontline; families were re-united; new lives were being built and victory was ours. Christmas 1945 was indeed a time of rejoicing, celebration and revelry - which was reflected in the recorded music of the time. 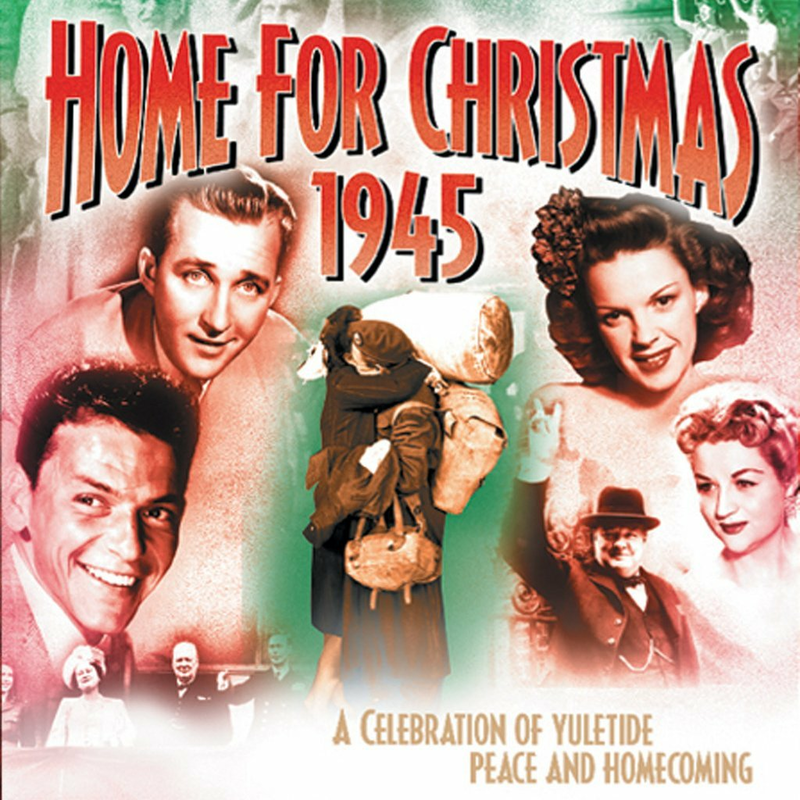 'Home for Christmas 1945' is the soundtrack to a unique moment in our nation's history and features tracks by Frank Sinatra, Judy Garland, Gracie Fields, Vera Lynn and others. A brighter future was on everyone's mind as Christmas 1945 dawned, regardless of the realisation that reconstruction would be painful and slow, that rationing could continue for years to come, and that the coming atomic age had menace enough of its own. In this unique selection of songs and spoken-word recordings, we offer reminders of the mood of the nation during that first post-war Christmas - a singular mixture of stoicism and optimism. Loved ones returned from the frontline, families were re-united, new lives were being built and victory was ours. It was a time of rejoicing, celebration and renewed hope ... all which was reflected in the recorded music of the moment. 'Home For Christmas 1945' is the soundtrack to a unique moment in our nation's history and a Christmas album rich in heart-warming nostalgia.